Meet the Team | Jeanne E. Martin, D.M.D. Gail has 25 years of dental education and experience, and has been with our practice for over ten years now. Why has Gail stayed with Cherry Blossom Dentistry for so long? “We are a great team!” she says, describing her team members as friendly and professional. Gail is married, with 2 wonderful boys and 8 beautiful grandchildren. She loves horses and going to the beach with her family. Gail contributes to the success of the practice by honing in on the patient experience. 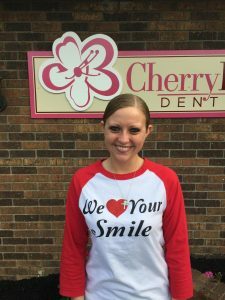 She says that one of her primary goals is making patients love their smiles when they leave our office. 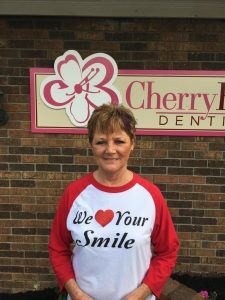 It doesn’t matter what the service may be–whether you need fillings, crowns, or dentures, Gail will make sure that you love your results! “I love being a dental hygienist. I couldn’t picture doing anything else.” Brittany’s passion for dentistry translates into beautiful dental work and sincere patient relationships. Brittany graduated from Bristol Community College in 2007, and has been with us since 2008. She has been married to her wonderful husband since 2009, and they have two beautiful daughters together. She loves spending time with her family, and loves taking on any adventure as long as she is with them. 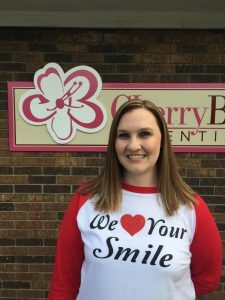 Brittany explains why she loves Cherry Blossom Dentistry: “This is a very professional practice. We have the most up-to-date technology, which allows us to give you the most thorough exams possible. At the end of the day, I leave knowing I did the best job possible for the patient.” Patients should always leave our office feeling they received attentive care and unparalleled work. Brittany runs the hygiene department, focusing on the foundation for a healthy smile: the patients’ gum and bone. She helps determine which type of cleaning will be best for a particular patient, based on their needs and preferences. The key to beautiful teeth is a healthy foundation, and Brittany provides that to our patients. 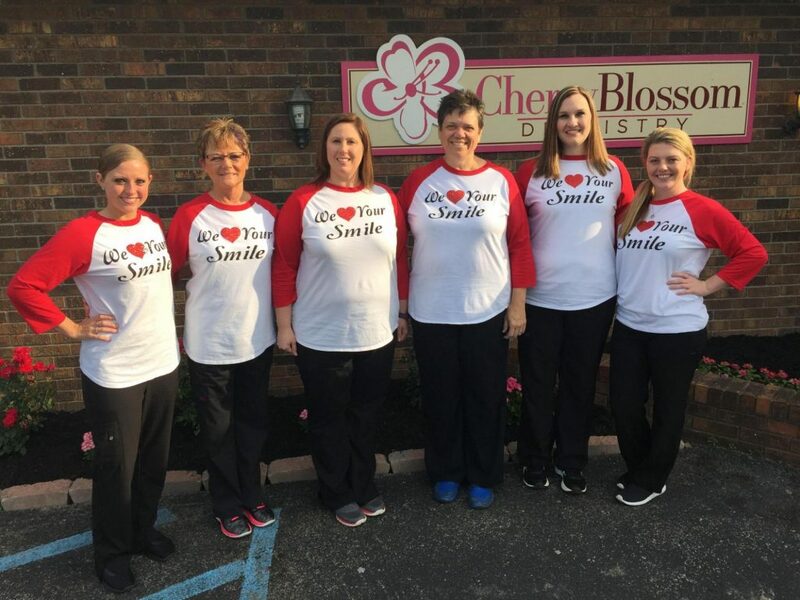 Dr. Jeanne Martin, DMD, is the owner and dentist of Cherry Blossom Dentistry. The practice was founded by Dr. Martin’s uncle, Dr. Sam Martin, in 1961. Dr. Sam retired in 1995, and Dr. Jeanne took over the practice shortly thereafter. Dr. Martin was educated at the University of Louisville, leaving as a DMD in 1996. She received her undergraduate education at Morehead State, where she received her Bachelor of Science in 1986. Amanda has been managing the office for six years now. She is in charge of the day-to-day operations of the practice, making sure our staff is timely and prepared, and making patient experiences easier and more enjoyable. She helps everything run smoothly so that your dental visit is the best it can be. Our office manager says that she loves working here and interacting with patients every day. She explains that one of her favorite things about her job is “seeing people’s reactions when you give them their smile back again.” Amanda makes every appointment simple and stress-free. From patient amenities to procedure inquiries, ask Amanda! Amanda is a proud mother to one daughter and two sons. She loves being outdoors (“as long as it’s warm,” she adds), and spending time with her children.